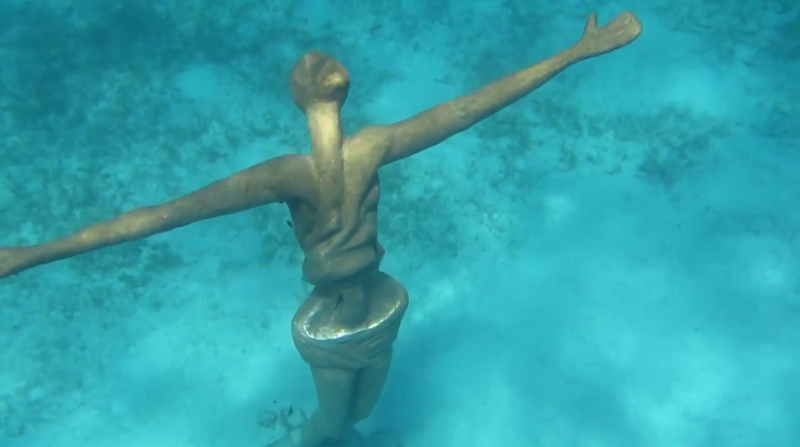 Around the world, artists and communities have felt compelled to adorn even the ocean floor with statues of Jesus and the saints. 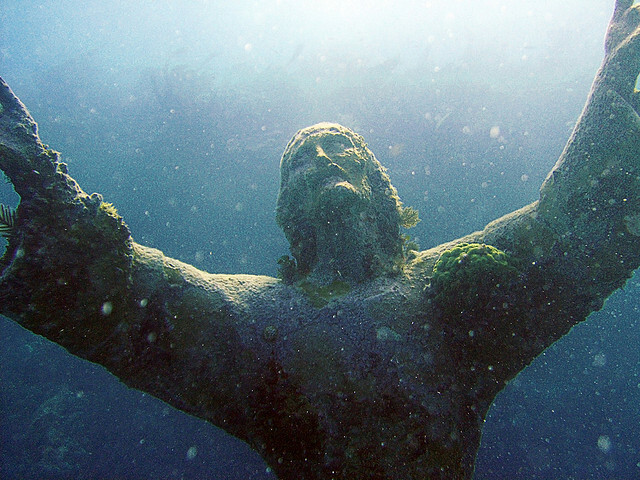 They remind divers that Jesus is Lord of everything, even the deep ocean. 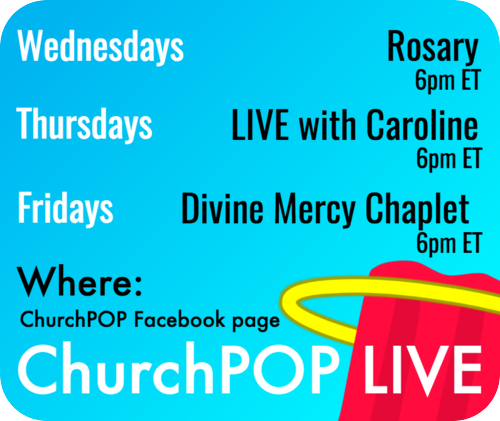 Here are 5 examples. 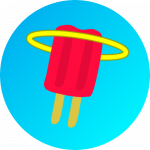 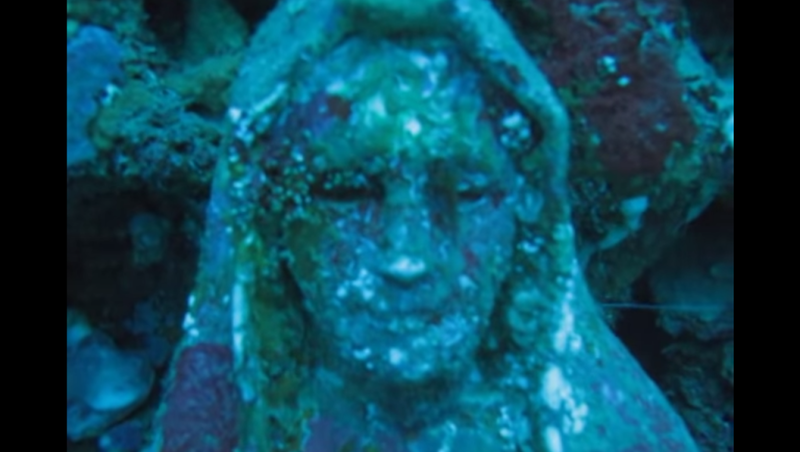 For each, I’ve included pictures, a video, and a short description. 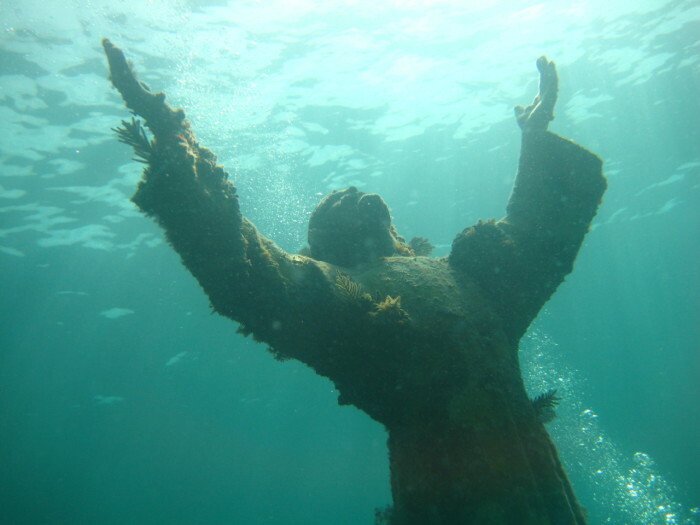 Located off the coast of San Fruttuoso between Camogli and Portofino in Italy, this 8 ft tall bronze statue, created by artist Guido Galletti, was placed about 56 ft underwater on August 22nd, 1954. 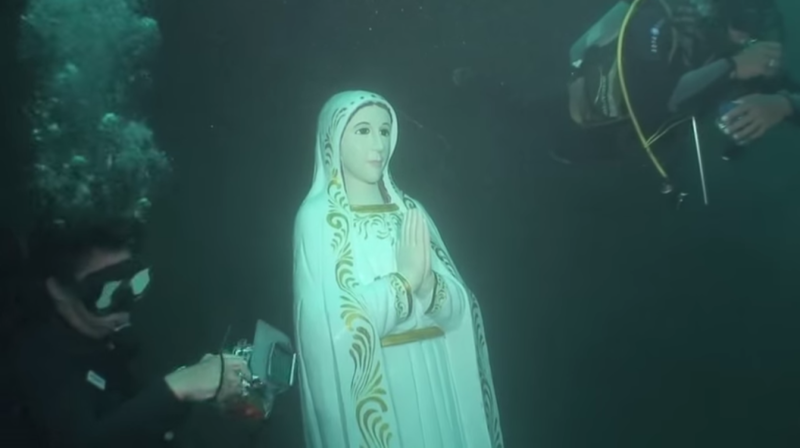 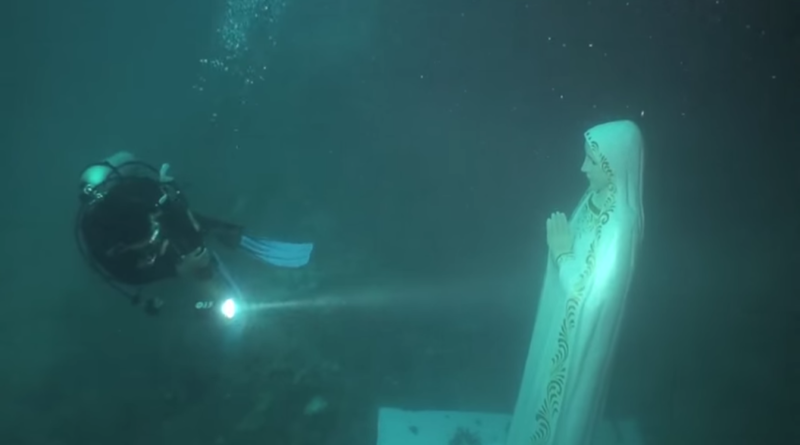 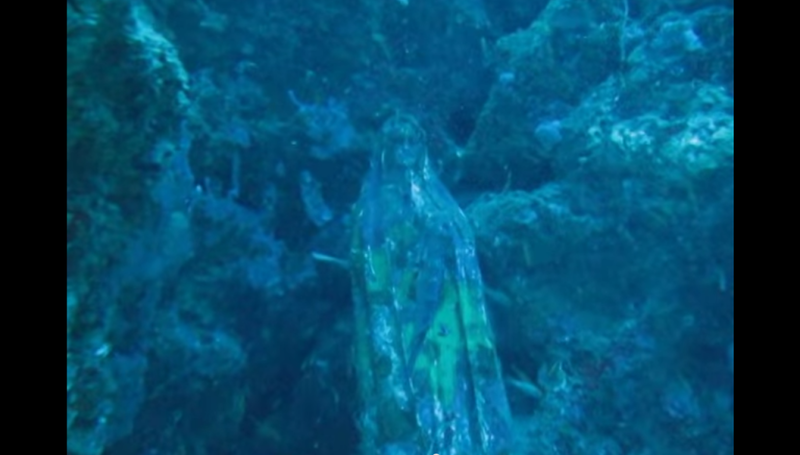 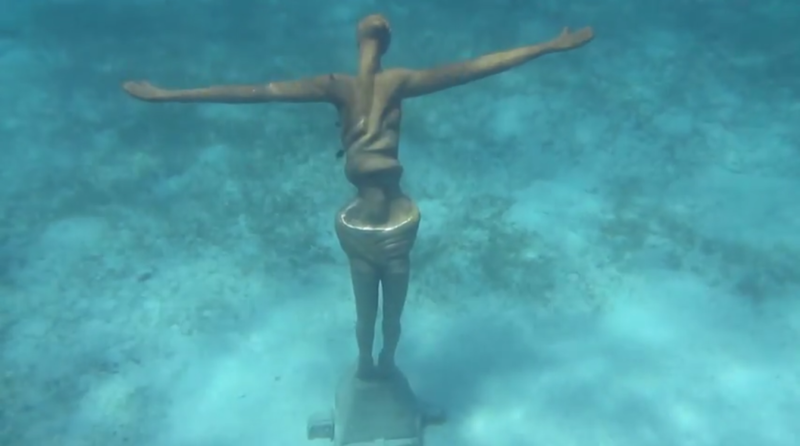 This 14 ft statue of the Blessed Virgin Mary was placed underwater near Bohol, Philippines by local officials to help discourage illegal fishing techniques that use dynamite. 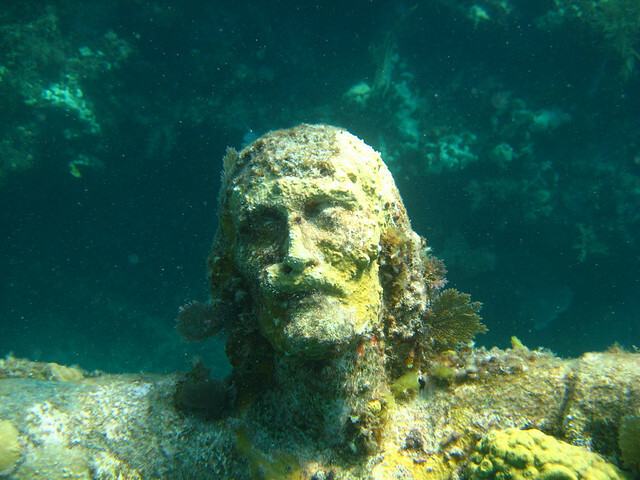 Since fisherman know that the statue is down there, they won’t use dynamite. 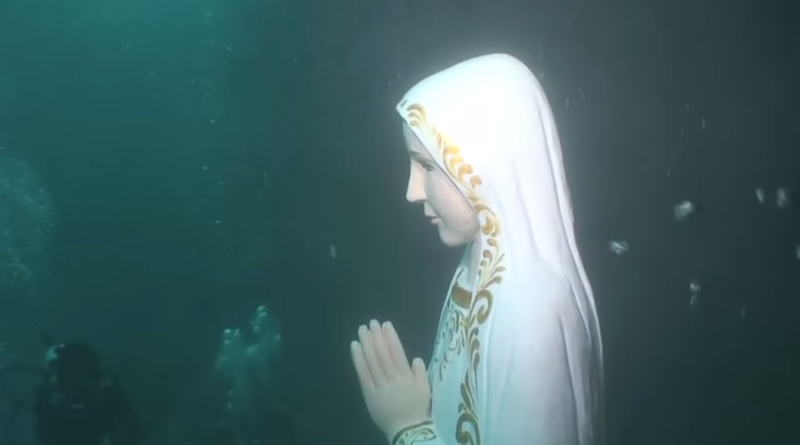 Like the Virgin Mary statue near Bohol, Philippines, this statue was also placed underwater to discourage illegal fishing practices that use dynamite. 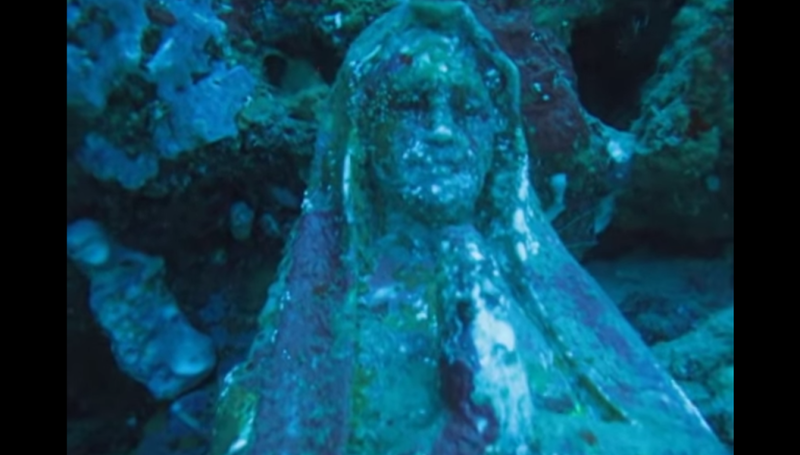 About 80 feet underwater, this statue of the Virgin Mary is off the coast of Anilao, Philippines and is kept company with two concrete crosses nearby. 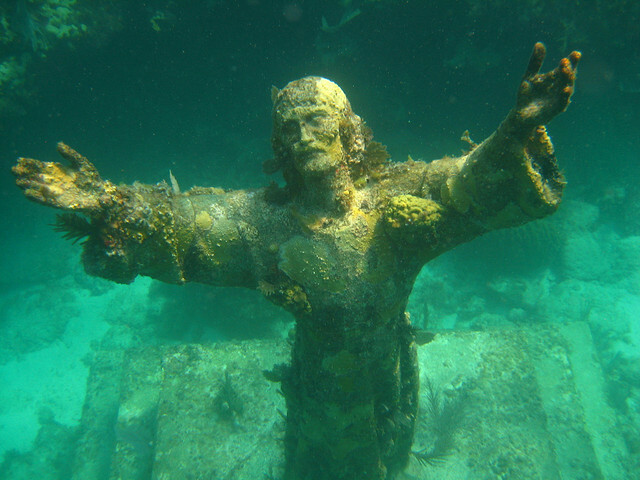 This is a statue of Jesus in a bit of a modern style near Cozumel, Mexico in Chankanab park.